A pleasant drive can be easily ruined by an engine that can’t keep its cool. There are many reasons why engines overheat and it’s important to be prepared if the worst happens to you. 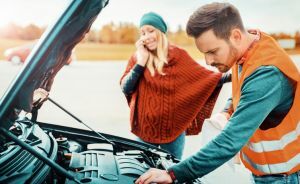 Canstar Blue offers you a step-by-step guide on what to do if your car engine overheats and what to expect when visiting the local mechanic. It’s every motorist’s worst nightmare. One minute you’re driving down the motorway as usual, then suddenly, you’re parked on the curb with a rising temperature gauge and smoke bellowing from under the hood. What a way to spoil the day! Liquid cooling systems have advanced dramatically over the past few years. However, your humble engine still needs plenty of care in order to maintain an optimal temperature. 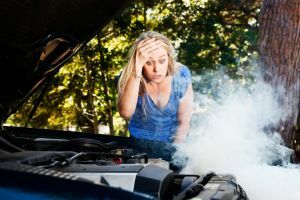 If you don’t keep your struggling engine cool down, you risk causing serious damage to the internal components… which can cost a fortune in repairs and part replacements. Here’s what you need to know about overheating engines and how to manage them while you’re on the road. Every vehicle on the road has a liquid cooling system in their engine. The purpose of this system is to regulate the car’s temperature and prevent it from overheating or getting too cold. The cooling system is made up of several components including the radiator, radiator hoses, water pump, thermostat and cooling fan. Through a series of pipes and passages, these components allow air and coolant to flow through the engine and sustain the engine’s temperature. The first signs of an overheating engine are easy to spot. Either the temperature gauge rises above the normal level, smoke bellows from under the hood, or you can smell hot metal or plastic. After you pull over and switch off the car, you need to let the engine cool for at least 10 to 30 minutes. Don’t unscrew the radiator pressure cap while the engine is still hot. It could release a high pressure of steam and radiator fluid that cause very serious burns. Make sure that the engine has sufficiently cooled down and check the coolant levels in the reservoir. There should be clear, visual markings that indicate the correct level it must be refilled to. Before you top up the coolant, check the user manual to find out what type of coolant you need. Never mix different types of coolant as this can seriously damage the engine. If you don’t have a pre-mixed coolant solution, combine a 50/50 mix of antifreeze and water, then refill to the correct level. Don’t just refill the coolant reservoir and call it a day. Check under the car to see if coolant has leaked onto the ground and inspect the coolant hose for possible splits or cracks. If you’ve had to refill the coolant reservoir several times recently, the coolant is probably leaking. Unless you’re a certified mechanic, you’ll need to have the vehicle towed to the nearest workshop. Most auto mechanics offer a Radiator and Cooling System Service. The purpose of this service is to diagnose and repair the cause of the overheating engine. During this service, a licensed mechanic or radiator specialist should inspect and test each function of the cooling system, such as the radiator, radiator hoses, water pump, thermostat, and cooling fan. They may also replace the thermostat and perform a coolant flush. Once the mechanic finds the source of the problem, they’ll explain the work that needs to be done, if any parts need to be replaced, and the total cost of the service. Prices can vary based on the provider and type of car. Most providers charge anywhere from $90 to $120 or higher. Keep in mind, this doesn’t cover the cost of fixing the problem or the replacement parts. No matter how well-equipped you are to manage an overheating engine, it’s always better to avoid the problem in the first place. 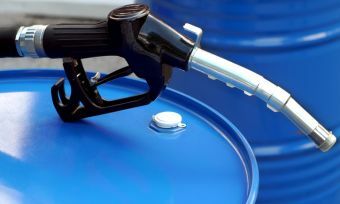 The harsh Aussie climate can place enormous stress on your engine. That’s why it’s important to have the cooling system regularly flushed and cleaned to optimise temperature levels. Even a few visits to a local cooling specialist each year can save you a lot of money and heartache later on. Finally, you can enjoy your time spent driving and not worry about an overheating engine spoiling your day.